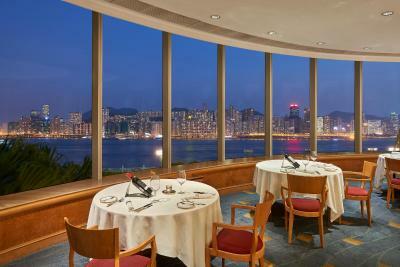 Lock in a great price for Harbour Grand Kowloon – rated 8.2 by recent guests! Location was good. Staff was good. Breakfast is great. I was only there for a couple of days. Location and view. Chef remembered my preference for omelette each morning which is very thoughtful. We had interconnecting rooms that were super clean! Best sheets and bedding, lovely, spacious room. 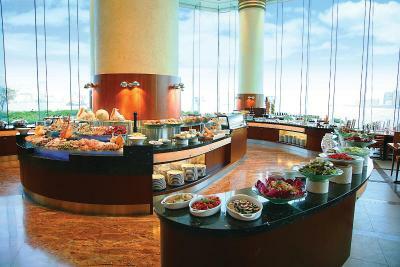 The buffet breakfast is the best I came across so far and the staff is super helpful. The shutter bus to the Star Ferry came real handy! Staff was extremely friendly and willing to help. Very clean and comfortable. The view of the harbor. Watching the cruise ships coming into the harbor and the ferries shuttling back and forth across the water from the writing desk in my room was quite an experience. The room is spacious by Hong Kong standards. The waterfront promenade by the hotel is great for walking and jogging. 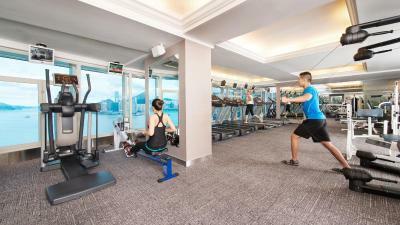 Convenient location with lots of restaurants and shops by the Whampoa metro station. The Harborview is great, the staffs are friendly and helpful too. The pool has a great view. It's nice to walk along the bay around the hotel. The shuttle to downtown was convenient. The renovation added a nice clean look to the property as you enter and the exercise facilities including men’s locker room are first rate. 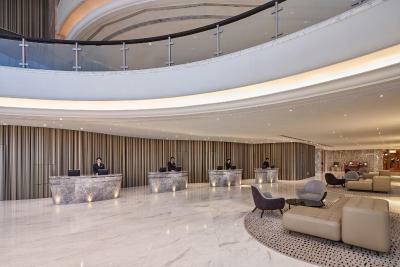 Harbour Grand Kowloon This rating is a reflection of how the property compares to the industry standard when it comes to price, facilities and services available. It's based on a self-evaluation by the property. Use this rating to help choose your stay! 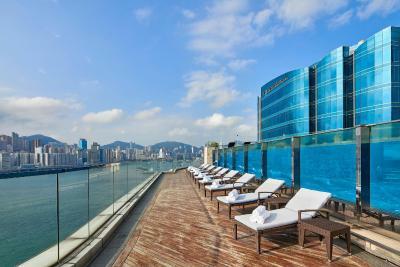 Offering unrivaled views of Victoria Harbor, Harbor Grand Kowloon is conveniently located on the Kowloon waterfront, just a few steps from Whampoa MTR Station Exit D2. 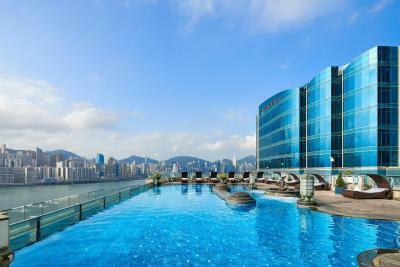 It is located about 8 minutes from Tsim Sha Tsui by complimentary hotel shuttle bus, and adjacent to the pier traveling to North Point. It offers spacious accommodations with WiFi access in all rooms and suites. The guest rooms and suites come equipped with a satellite TV, personal safe and mini-bar. The private bathroom provides free toiletries, slippers and a hairdryer. 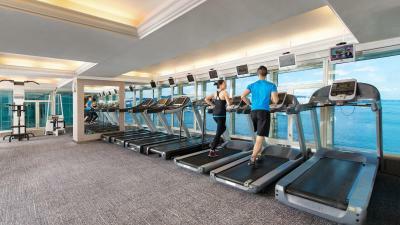 The hotel features an on-site rooftop glass-framed swimming pool, soothing spa, beauty services and the 24-hour top-floor fitness center equipped with state-of-the-art fitness facilities. 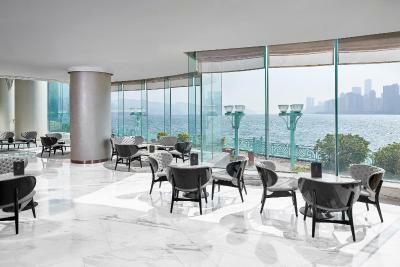 A grand lobby and marble staircases boast panoramic harbor views from grandiose 2-story windows. 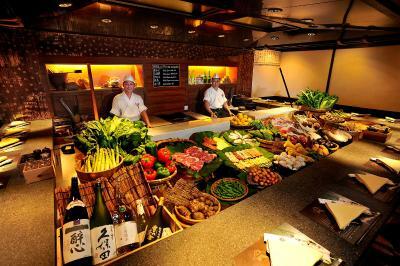 Hotel features six restaurants offering diverse dining options including certified Halal food (advance order is required). 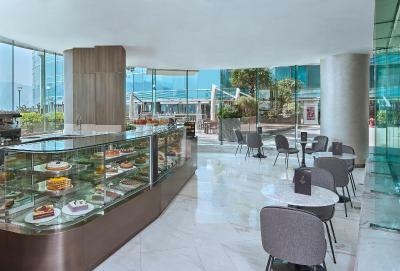 Breakfast, afternoon tea and evening refreshments are served on the Harbor Club Floors. 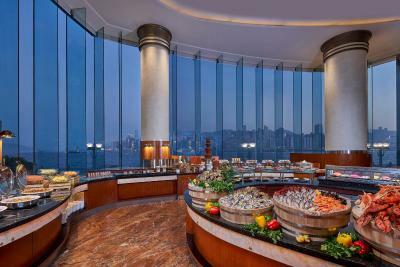 When would you like to stay at Harbour Grand Kowloon? For 3-adult occupancy rate, an extra bed will be provided. Child who stays with adults using existing bed will be charged extra cost for breakfast if guests book breakfast-inclusive rate. 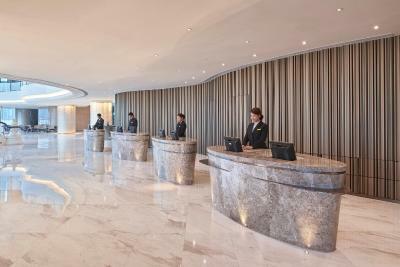 Private parking is available on site (reservation is needed) and costs HKD 280 per day. 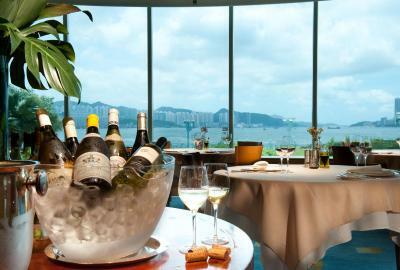 These spacious, air-conditioned rooms feature large bay windows overlooking East Victoria Harbor. Decorated in a colonial style, it also has a marble private bathroom with a deep soaking tub and/or separate walk-in shower with exclusive bathroom amenities. 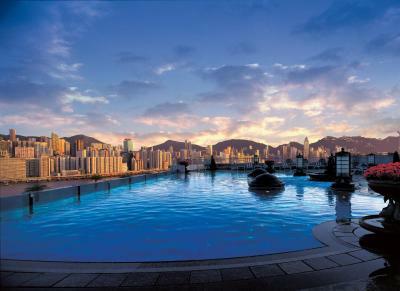 This spacious one-bedroom suite features panoramic views of Victoria Harbor. Includes a kitchenette with a fridge and a microwave. Please note that Club Lounge access is strictly for 2 adults only. Any extra guests will be charged separately (except children below 3 years old). Harbourview Suite offers the luxury of expansive space for entertaining or holding meetings. 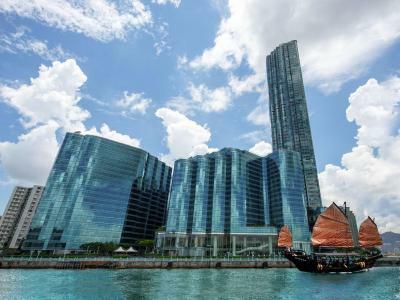 Featuring breathtaking views of the Victoria Harbor and beyond, with separate sitting room and adjoining washroom, you can expect all the luxuries and comforts of home and office. Measuring a roomy 68 square yards (730 square feet), the private bathrooms have deep soaking tub and/or separate walk-in shower with exclusive bathroom amenities.The Suite also includes two LCD televisions, a DVD entertainment system and a fax machine. This spacious suite features a separated living area with comfortable seating, a mini-bar, electric kettle and a well-equipped kitchenette. Please note that this room only comes with a King bed and extra charge will be applied to extra bed requests. 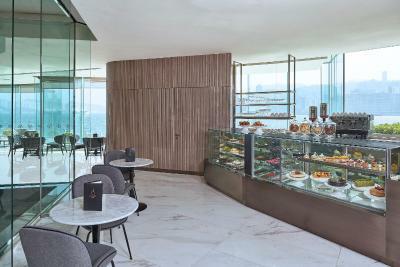 For breakfast inclusive rate, maximum two breakfasts for 2 adults will be included. Extra child / person will need to pay extra for breakfast. This twin/double room has a electric kettle, executive lounge access and mini-bar. This twin/double room features a satellite TV, DVD player and mini-bar. This single room has a DVD player, air conditioning and bathrobe. - Pressing of one suite or dress on a daily basis. 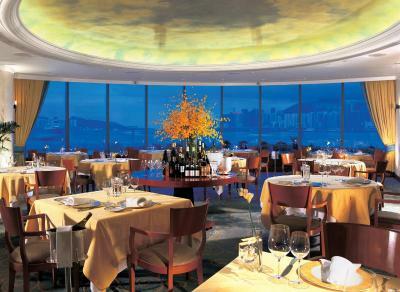 Harbour Grand Kowloon accommodation offers 555 luxurious and well-appointed Hong Kong guest rooms and suites. Our luxury Kowloon accommodation has spacious rooms designed for guests who are particular about comfort and functionality. The majority of our beautifully appointed rooms boast outstanding harbour views. Equipped with Wi-Fi service, our guest rooms and suites share a contemporary, spacious setting and are available on a daily and long stay basis. 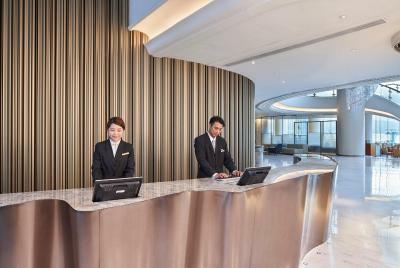 A host of valuable benefits and privileges are available on the Harbour Club Floors. Two magnificent Presidential Suites house our most discerning guests. Ranging from 36 to 104 sq. m. (390-1,120 sq. ft.), our rooms are categorized into Courtview Rooms, Harbourview Rooms and Harbourview Suites. 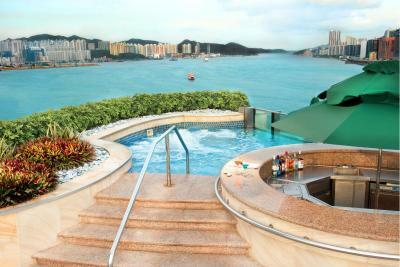 House Rules Harbour Grand Kowloon takes special requests – add in the next step! 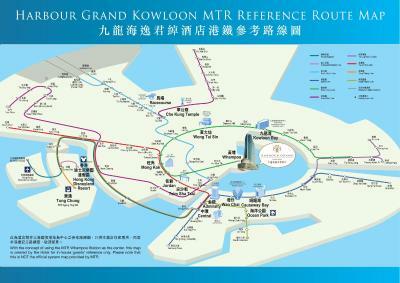 Harbour Grand Kowloon accepts these cards and reserves the right to temporarily hold an amount prior to arrival. Please note that extra beds or baby cribs may be available upon request and are subject to the hotel’s availability. Any extra guests will be charged separately (except children below 3 years old). Please present the same credit card used to prepay your booking when checking in or making payment at the hotel. Please note that you need to sign a contract with the property for using the room/suite as a bridal suite. Curtesy bus great to get to harbour. 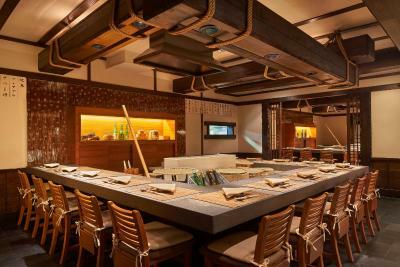 Food was fabulous & the staff very helpful. The toilet seat needed to be replaced. It was marked as if blotted by bleach. The curtains on the large window needed adjustment, several of the hooks were not in place and let light in. I like a dark room and I am very light sensitive. The size of the room. We had a harbour view room (up graded) and the room was very large. Free shuttle bus to downtown area. 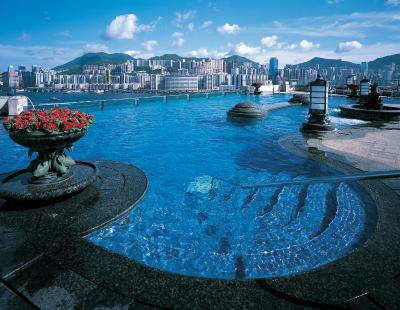 The rooftop pool looked amazing but it wasnt heated. Nor was the whirlpool. Disappointing. The club lounge was adequate for breakfast. The afternoon tea was very good with scones. The evening drinks and canapes 6 till 8pm were great. The shuttle in to town every 20 mins was also a great service. Price. First room had ropes hanging down in front of window so I asked to move rooms - second room much better. The staff couldn't do enough to help, the room and bathroom was large, with everything clean and lots of thoughtful little extras. We paid extra for the harbour view, which I would definitely recommend. We were given a top floor room and the view was beautiful. The rooftop pool and spa facilities were the reason we booked the hotel and lived up to expectations, even open in the evenings so you can see the skyline at day and night. The breakfast, although not included in our package, was one of the best I've ever eaten in any hotel anywhere in the world, with international options and unlimited buffet. Faultless. 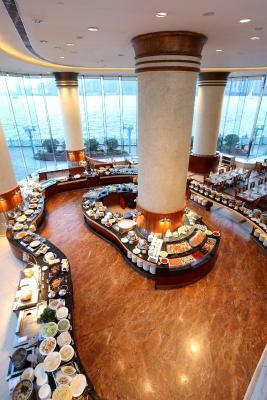 I guess it is Hong Kong in general, but room service and breakfast, even thou outstanding in quality, was crazy pricey! The bath was VERY small and I don't like a shower in a bath. A separate shower would have been nice. We were upgraded to a harbour view suite and it was fantastic. It was the last day of travel for us before heading home so we were very happy to enjoy a larger room and lounge area where the views of the harbour were spectacular. Thank you Grand Koolwoon!